Barcelona is a city that will suit most young travellers. 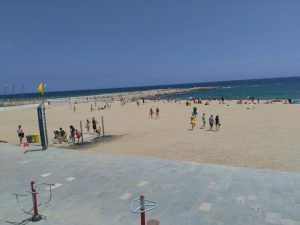 Although, my trip mainly focussed on the sandy beaches of El Poblenou, in the northern part of the city, and experiencing the city’s nightlife. Barcelona has a wide variety of activities on offer. 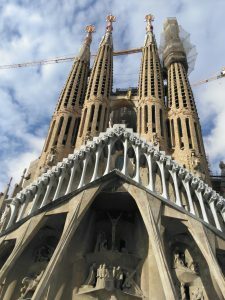 Perhaps Mountjuic is not the first part of the city that springs to mind, yet in my opinion, this is one of the must-do excursions upon arrival in Barcelona. 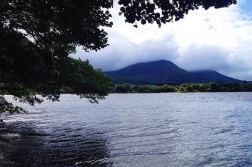 Walking up this beautiful hilltop, through exquisite parks, allows you to experience one of the most stunning views over the surrounding area. 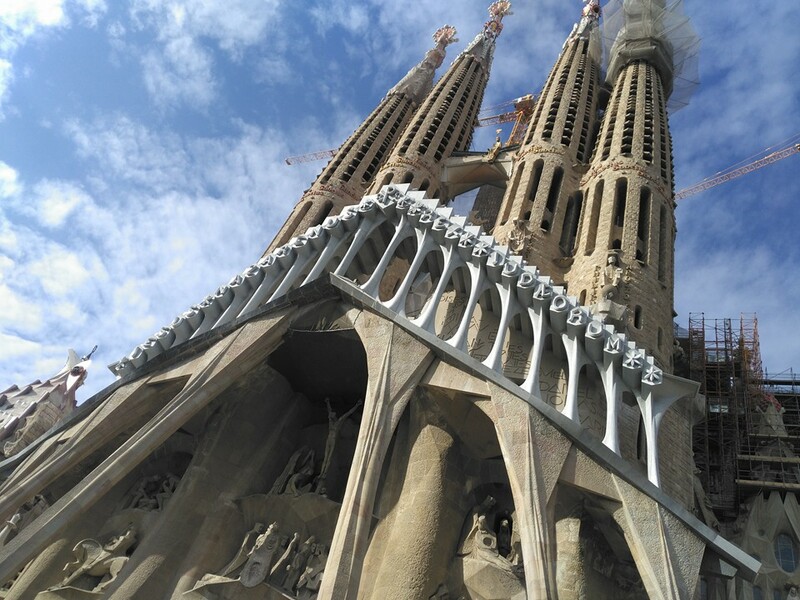 Being so high up means that you can see many of the cities’ largest attractions, including the world-famous church – La Sagradia Familia. The best time to take in this magnificent scene, is watching the Iberian sun go down with the urban landscape eerily stretching before you. 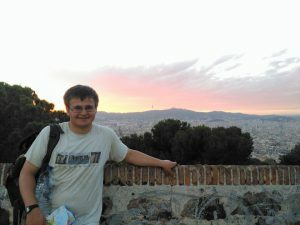 Ascending Montjuic, also, allows a visit to one of Barcelona’s best castles – the Castell de Montjuic – which is a military structure used to keep watch over and control the local population. The view from Montjuic at sunset. La Rambla is the city’s iconic main street; which is beautifully lined with greenery and sits adjacent to the main avenue. There are traditional Spanish squares, such as the Placa Reial, that are worth exploring in their own right. However, experiencing La Rambla, also allows you to see all the main attractions in the city centre. Some of these included the main Gothic cathedral and the Statue of Christopher Columbus. 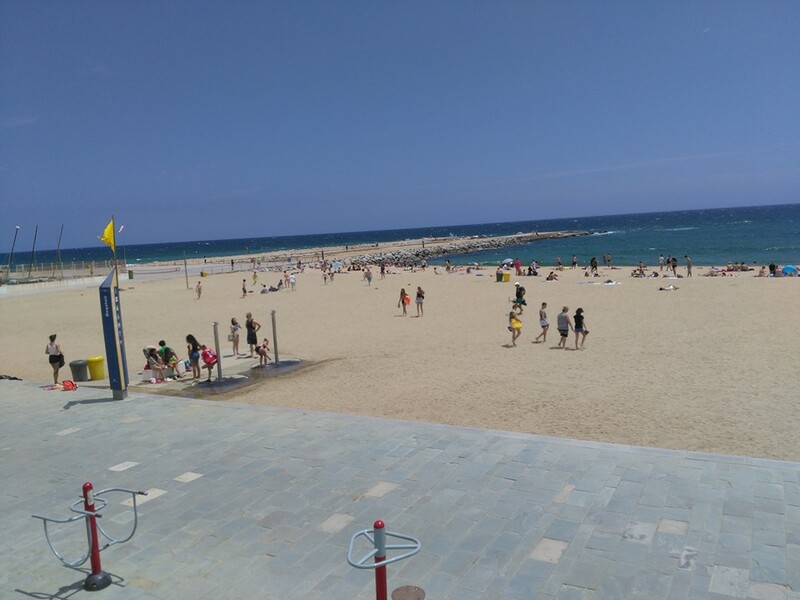 The sandy beaches of El Poblenou. 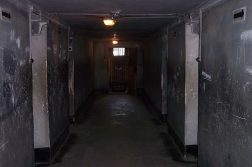 Fortunately, the city has a variety of good sandy beaches that have facilities to suit tourists. For instance, the showers can be used at the end of the day, in order to start getting ready for that all important night out. There is, also, plenty of activities to do during the day, including a variety of different sports that the beach caters for: beach rugby, volleyball, football and climbing. There are also Beach Bars where food and alcoholic beverages are on offer as well as medical teams in and around the beach fronts in case there are any emergencies. The stunning La Sagrada Familia. Source/ Image Credit: Mark Marsden. 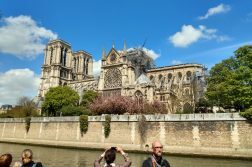 This massive church is simply a must see attraction! It is a beautiful and inspiring structure that you can continually gawp at for hours; which makes you wonder why it is not classed as a cathedral! The building’s symbolic design is conveyed through objects which have really intricate meanings. For example, each of the Statues, engraved onto the outside of the church, convey different messages of the Catholic faith – ranging from the Easter story to how the Christian Church was founded through the apostle, St Peter. For pre-drinks, buying Spanish brands from local Supermarkets is the best and cheapest option. Just be careful to check your youth hostel’s policy on alcoholic drinks; as some have a strict stance on this. However, there are plenty of options to then progress the party. One great way to meet like-minded young people at a variety of bars and clubs, is going on a hostel bar crawl for as little as 13 euros. The Ambar Bar is near Sala Apolo night club. Although, it can get a bit cramped, the comfy sofas are a good place for socialising. The Shot Bar is infamously famous in the city, as it serves hundreds of shots. So, if you enjoy having shots, this is the place for you. The Ice Bar is in a good beachside location just past Port Olímpic. Although there is a good ambient atmosphere, drinks are expensive. Sala Apolo is a large club with a dance floor to suit, with good house music being played. However, the drinks can be quite expensive. For example, I paid five Euros for a 330 ml bottle of Estrella Damm! Razzmatazz is another large club that plays light, cheesy pop music. It has large outdoor terraces, that are a great place to rest from dancing and to socialise. 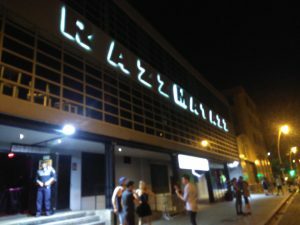 The outside of Razzmatazz Night Club. The easiest way to arrive in Barcelona is to fly to El Prat Airport. If you are concerned just about price, Ryanair fly from many London airports and provide the best bargains. However, if you would want to get a slightly better service and be safer without breaking the bank; I would travel with either Vueling (a low-cost Spanish Airline) or EasyJet. Most of the year you can get return flights from these companies for around £70-80; however, this excludes the busy summer months (July tp August) where prices will be more expensive. To travel around the city itself, especially if you are in a group of two or more, buying multiple trip tickets are a great idea; because you can use these on any public transport in the greater civic area. Surely ten journeys for 10 euros must be a bargain!